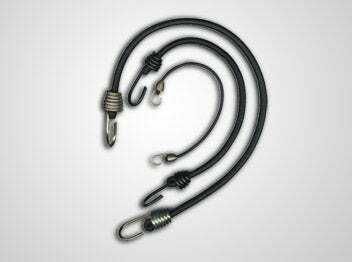 20" Stretchable Bungee Cables for EASY mounting! These fibertex cords stretch to approximately 1.5 times their normal length. Great for hanging banners! Allows for moderate wind play, and keeps your banners stretched tight, to avoid sagging.